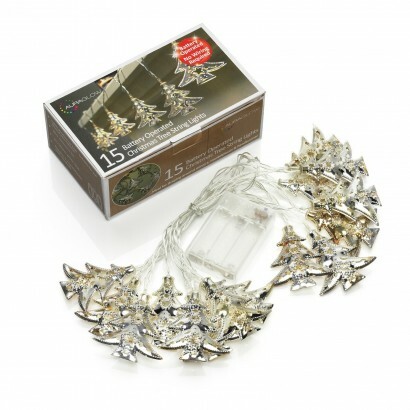 Sparkle and Christmas go hand in hand which makes these Christmas tree string lights perfect for the festive time of year! 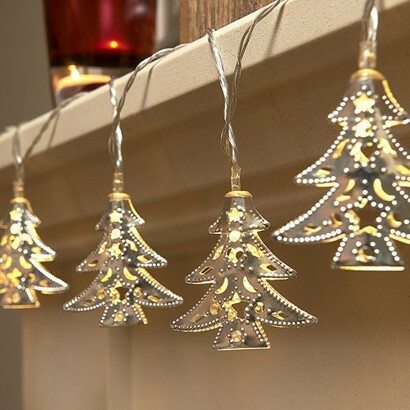 Fifteen silver metal Christmas trees are lit by warm white LEDs that shine through the cut out detailing on the trees to add a spectacular glow to your home. 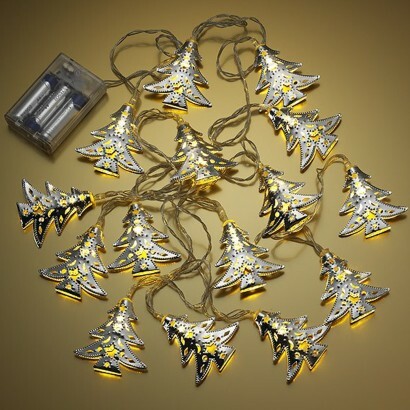 Battery operated, these decorative lights can be placed anywhere in your home or even on your Christmas tree itself for gorgeous festive decorations.